Important milestone for the most significant dam removal and river restoration effort in history. The Klamath River was once the third largest producer of salmon on the West Coast. But for nearly 100 years, four dams have blocked salmon and steelhead from reaching more than 300 miles of historic habitat, and have caused toxic algae outbreaks that harm water quality all the way to the Pacific Ocean, more than 190 miles away. That’s all about to change, with the most significant dam removal effort in history. And today, we marked an important milestone in the push to remove the river’s four dams — J.C. Boyle, Copco 1, Copco 2, and Iron Gate. 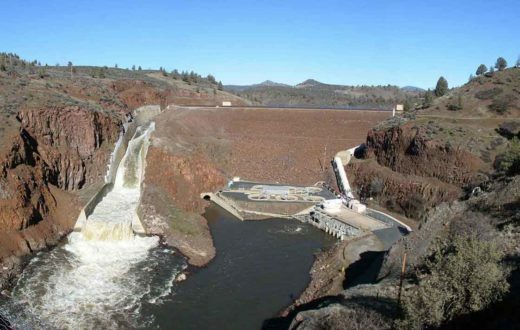 The Klamath River Renewal Corporation, the entity managing the dam removal project, submitted its plan to the Federal Energy Regulatory Commission, as part of its application to transfer the license for the four dams and remove them. Known as the Definite Plan, the 1,500-page document provides comprehensive analysis and detail on project design, decommissioning, reservoir restoration, and other post-deconstruction activities. For example, the plan describes how the reservoirs behind the dams will be drawn down, or drained, carefully and relatively slowly in a process that will take two to three months. Demolition of the dams will follow during the dry season (June to October). A five to ten-year restoration plan will ensure lands formerly inundated by the reservoirs are stabilized and restored with native plants. What comes next? FERC will use the information to make a decision on the license transfer application. 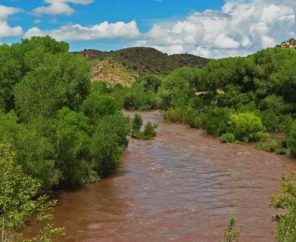 If FERC approves the transfer application, it will then turn to the dam removal application – the final approval we need. We are hopeful that the project will stay on track, with dam removal beginning in 2020. Dam removal makes sense from both an environmental and an economic perspective. The four Klamath dams produce a nominal amount of power, which can be replaced using renewables and efficiency measures and without contributing to climate change. In fact, since we started working on this project over 10 years ago, 10 times as much wind, solar and geothermal capacity was produced than is provided by these dams. 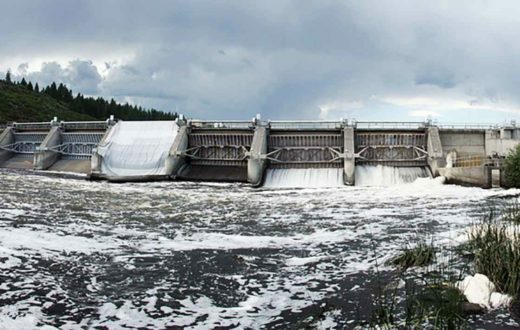 In 2008, the Public Utilities Commissions in Oregon and California concluded that removing the dams, instead of spending more than $500 million to bring the dams up to 21st century safety and environmental standards, would save PacifiCorp customers more than $100 million.. 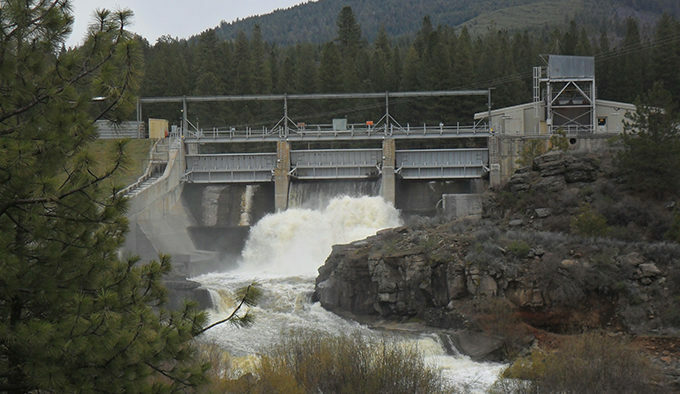 The Klamath River project will be the most significant dam removal and river restoration effort yet. Never before have four dams of this size been removed at once which inundate as many miles of habitat (4 square miles and 15 miles of river length), involving this magnitude of budget (approximately $397 million) and infrastructure. But perhaps more important than the size of the dams is the amount of collaboration and the decades of hard work that have made this project possible. 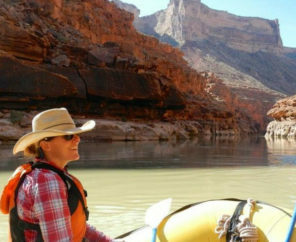 American Rivers has been fighting to remove the dams since 2000. And thanks to the combined efforts of the Karuk and Yurok tribes, irrigators, commercial fishing interests, conservationists, and many others, our goal of a free-flowing river is now within reach. This inspiring feat shows the way for other dams to be deconstructed, i.e. The Columbia and Snake Rivers dams. 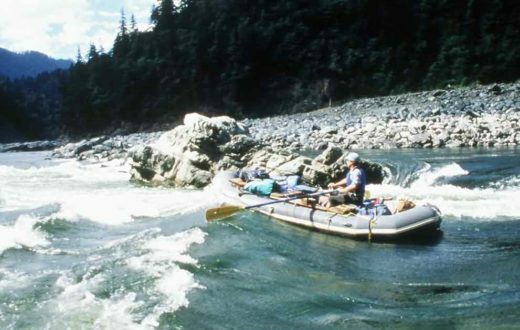 Let’s hope they too are removed soon to restore the failing salmon and steelhead fisheries. Dam removal is the only way to restore our native fisheries. Removal of dams is one of the most important goals in water management of our time. Thanks so much for your efforts on the Klamath River and the dam on the upper Mississippi River. This is a phenomenal endeavor and great applause to all the hard work and dedication! It’s motivating news. High hopes FERC will keep the ball rolling. Why haven’t you applied to the “bill gates foundation”for funds to restore these rivers.I feel they might assist in all of America’s river restorlation projects. Very unfortunately the Gate Foundation gives no funds to any environmental efforts. All their funds are geared towards their moto: every person deserves to live a productive life (or something like that). So with all of their billions none is spent helping the environment, wildlife, forests, oceans. Nothing. Look at their website. The Gates Foundation provides ~50% of the funding for the World Health Organization, WHO of the UN. They are doing good work in addressing disease and its prevention throughout the world. This is a great start. Also, stop gill netting on the Klamath River. My heart is bursting! So much love for FERC and America. Rivers. FREE OUR RIVERS! i support this effort and applaud the combined efforts of s concerned to bring this to reality .